A new post over at my Fellow Creatures blog looks at the responsible use of pets in advertising, and some new guidelines from the British Veterinary Association on what advertisers should (and shouldn't) do. The report calls for advertisers to consider the five welfare needs in what they are depicting. 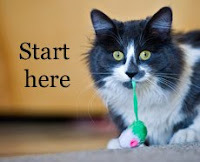 My post is called, Using pets to sell: Responsible use of animals in adverts. The posts about dogs and cats you liked best in 2018. 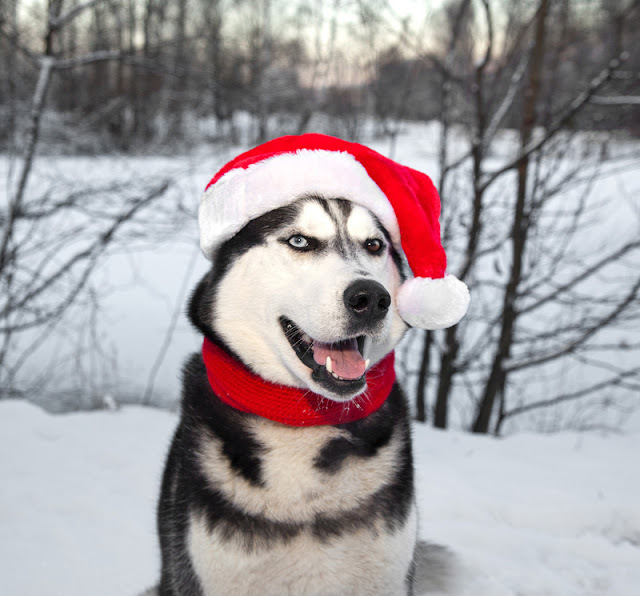 It’s been another busy year here at Companion Animal Psychology. Highlights including being featured in the Washington Post ('Your dog and cat wish they could tell you this'), being interviewed by Radio New Zealand, and speaking at the BC SPCA’s Animal Behaviour Science Symposium (where it was lovely to meet some readers of this blog). Dr. Marc Bekoff about his book Canine Confidential: Why Dogs Do What They Do; Dr. Marty Becker about the Fear Free movement and his co-authored book, From Fearful to Fear Free: A Positive Program to Free Your Dog from Anxiety, Fears, and Phobias; Prof. Hal Herzog about his book, Some We Love, Some We Hate, Some We Eat: Why It's So Hard to Think Straight About Animals;Lori Nanan about teaching dogs to love nail trims; and dog trainer Jane Sigsworth about helping people with fearful dogs. Thank you for your support throughout the year. It's great to have such a wonderful community of people who care about their pets. Happy Holidays! And wishing you and yours the very best for a happy and healthy 2019! 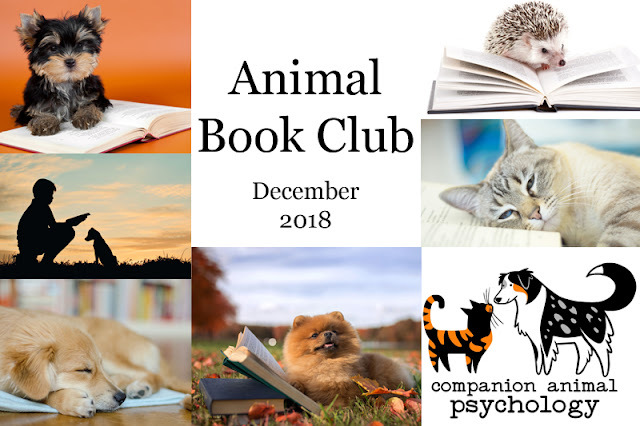 Animal lovers and readers of Companion Animal Psychology share their favourite book about animals that they read in 2018. Here are their choices, and what they love about the book they picked. You can find copies of all the books at my Amazon store, https://www.amazon.com/shop/animalbookclub. Kristi Benson, CTC, Dog trainer and owner of Kristi Benson Dog Training; on staff at Academy for Dog Trainers. Animal Weapons: The Evolution of Battle, by Doublas J. Emlen. Illustrated by David J. Tuss. Members of the Companion Animal Psychology Book Club will recognize the photo above. It's a stock photo, but it's one of my favourites that I've used since I began blogging. 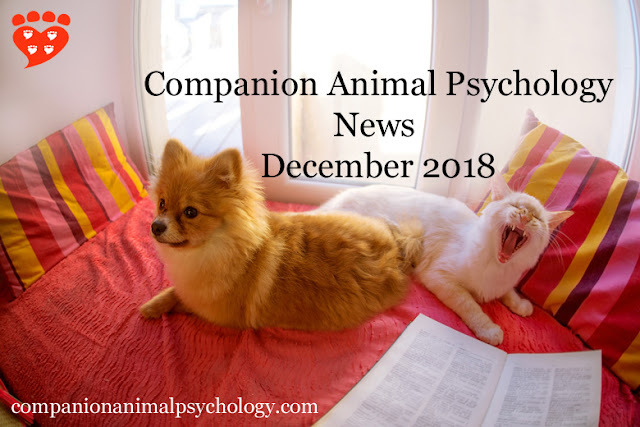 The mirror test, what we know about dogs, and some Christmas videos... the latest newsletter from Companion Animal Psychology. "“There are researchers who, it seems, do not want fish to be included in this secret club,” he said. “Because then that means that the [primates] are not so special anymore.”" A ‘self-aware’ fish raises doubts about a cognitive test by Elizabeth Preston. 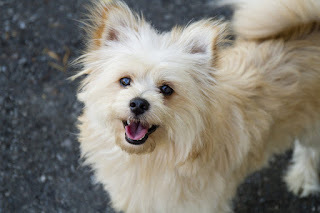 “A while ago I saw a dog training guide that recommended that someone put a shock collar on their puppy and then hold down the shock button…” Yes, I’m angry about that training advice by Kristi Benson CTC. 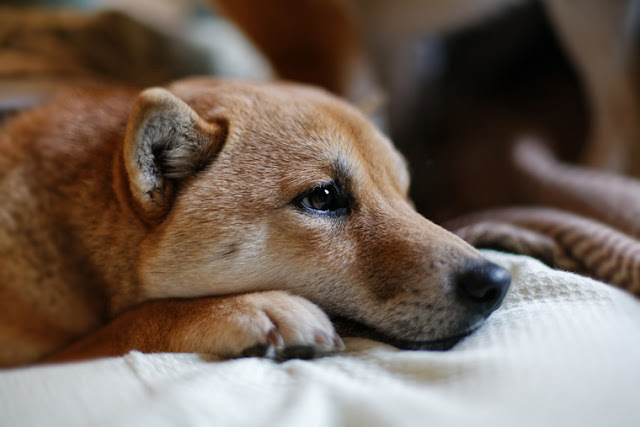 “It may start as nothing but a temporary relief or a distraction, but it may also grow into a newfound appetite for life.” How to get your anxious dog to play by Sylvie Martin CTC at Crosspaws Dogs (don’t miss the lovely video). Why punishment is the wrong approach for house training mistakes, and what you should do instead. Suppose your dog suddenly starts to pee in the house. You clean it up the first time but it happens again…. And then again. Or your new puppy keeps having accidents indoors even though you take her outside often. In this situation, some people will yell at their dog. Some might even try physical punishment like hitting the dog or an alpha roll. And we’ve all come across the advice that you should rub their nose in it. 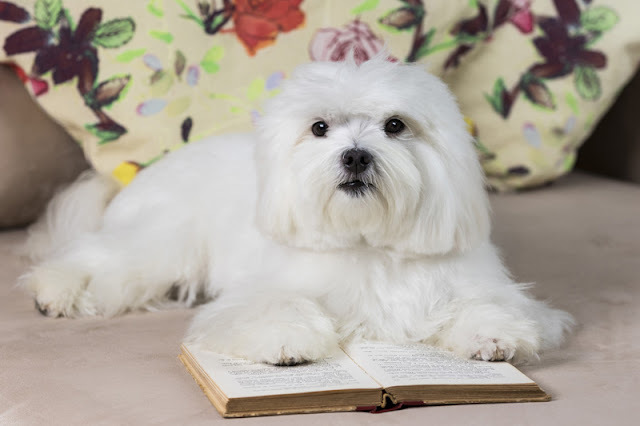 Whether you're toilet training an adult dog or house training a puppy, here’s why that’s the wrong approach, and what you should do instead. First of all, let’s think about it from the dog’s perspective. Suppose they pee in the house and you yell at them. What do they learn from this? 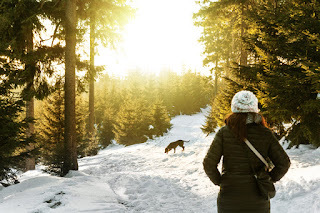 I have a new post at my Psychology Today blog Fellow Creatures about a study that looked at whether a dog walking program has benefits for people with intellectual disabilities who live in supported housing. 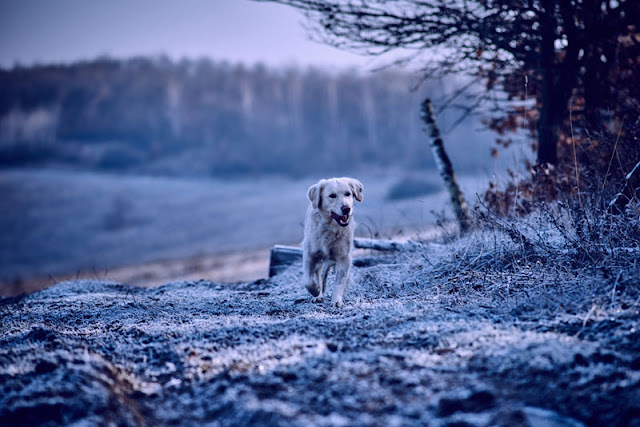 The results of this exploratory study found there were more friendly interactions with other people when a dog was present. Read more here. Whether or not pets should be allowed to sleep on the bed is an age-old question. Some worry it will lead to a disturbed night’s sleep, while some old-fashioned dog trainers still claim it will spoil the dog. 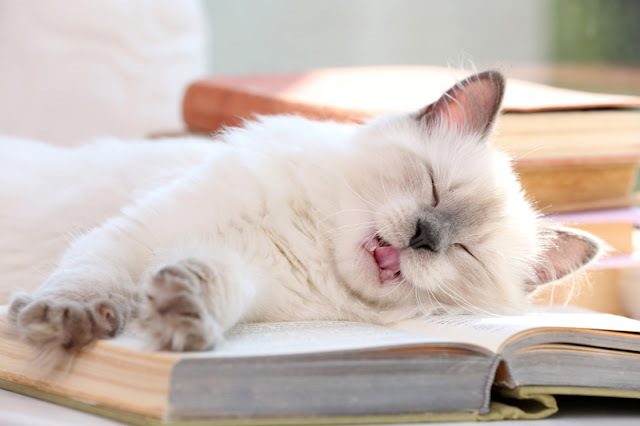 The latter argument is based on out-dated ideas about dominance and dog training and can be easily dismissed, but the issue of sleep quality is starting to get researchers attention. A new study by Dr. Christy Hoffman (Canisius College) et al and published in Anthrozoös asked women about who sleeps in/on the bed with them and how good they thought their sleep was over the previous month. The results show dogs are a less disruptive sleep partner than another human, while cats are just as disruptive as humans. 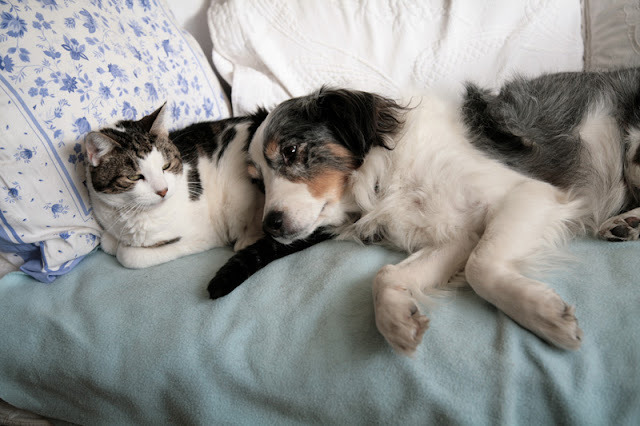 Dogs are perceived as providing more comfort and security than another human, while cats provide even less.